Harsh criticism has been sounded in several quarters for the White House condemnation of Jerusalem housing plans – especially the use of the term "occupation." The OU (Union of Orthodox Jewish Congregations of America) issued a statement "strongly reject[ing]" the "harsh rhetoric" employed by American officials regarding recent Jerusalem housing plans. White House Press Secretary Josh Earnest said on Wednesday, "The US condemns the recent occupation of residential buildings in the neighborhood of Silwan." He added that the new residents have an "agenda [that] only serves to escalate tensions." The OU responded that the statement suggests that "the onus for the peace process impasse is upon Israel, when in fact it is decades of Palestinian and Arab rejectionism and incitement (such as that voiced by Palestinian President Abbas at the UN General Assembly last week) that 'poisons the atmosphere' for peace." Media analyst Dr. Aaron Lerner of IMRA added that the use of the word "occupation" is not all appropriate and even dangerous. He noted that the properties were legally purchased, "just as Walt Disney purchased swampland in Orlando through a series of third parties." Lerner said that the word "Occupation" is a very incendiary term, as PA Chairman Abbas has said it is acceptable,"in the course of non-violent resistance of the occupation, to throw firebombs and murder Israelis." 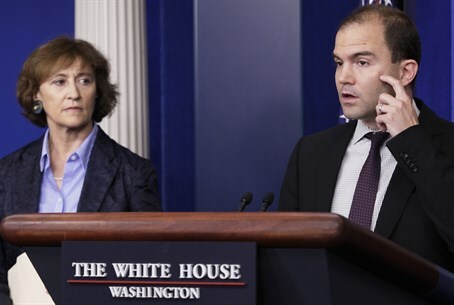 "One would expect the White House to be more careful in its choice of words," Lerner concluded. The OU also responded to the sharp language that State Department Spokesperson Jen Psaki acknowledged she used regarding Israel's plans to build housing for Jews – and Arabs - in the Jerusalem neighborhood of Givat Hamatos. Psaki said that the new project "would send a very troubling message… will only draw condemnation from the international community, distance Israel from even its closest allies; poison the atmosphere… and call into question Israel’s ultimate commitment to a peaceful negotiated settlement with the Palestinians." The OU slammed the "implied threat that Jewish residence in Jerusalem will distance Israel from even its closest ally," i.e., the United States, and called it "rhetoric [that is] entirely unacceptable." Leading the sharp response to the American condemnation, of course, was Prime Minister Binyamin Netanyahu. “I do not understand the criticism," he said. "Arabs in Jerusalem buy apartments and no one bothers them. By the same token, I'm not going to tell Jews not to buy in Jerusalem, including in Silwan. We cannot have discrimination; this approach is unacceptable to me." "I stand firm by my decision," Netanyahu added. "There will not be a situation where Jews will not be able to buy an apartment in Jerusalem."